We’re excited to make a big announcement – pCloud Crypto, our new encryption feature is finally live and ready for use! It’s been a busy week for the pCloud team, as we’re moving in full power to create an awesome experience for users worldwide. pCloud Crypto is the new addition to pCloud’s feature package. It creates a secure folder in a zero-knowledge environment, where you can store your most important and private files. 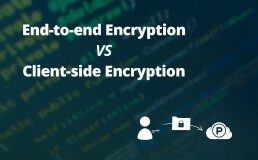 While unencrypted data permits instant management of different file formats and various speed optimizations, having mixed content (unencrypted and encrypted information) will let you choose what part of your files you want to stay encrypted and what to remain unchanged. This means that with the Crypto folder in the cloud, you increase the level of protection of your files without limiting your actions. Not even we, as a service provider, can decrypt your data, meaning everything from the file itself, it’s name and file type will be kept private. Currently, you can activate this feature from desktop and mobile and in the near future – from web. The pCloud Crypto folder has a separate section dedicated in pCloud Drive’s action menu. From there, you can enable the option and after that access and unlock your data for complete use. Encrypted files will only be visible in your pCloud Drive after you have entered your Passphrase. As soon as you click ‘Lock’ files will no longer be accessible. Even in the unfortunate even of losing your computer, your data will stay protected and inaccessible by others. 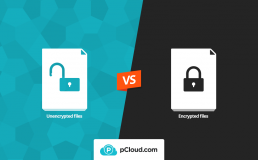 pCloud Crypto uses a complex way to secure your files. With client-side encryption and a strong personally chosen Passphrase, no one will except you will be able to view and use your files, thus making the crypto folder, zero-knowledge-proof. At present, you can try this new feature for a 14-day free trial period. We’ll be happy to read your opinions on pCloud Crypto in the comment section below or in our social media channels.